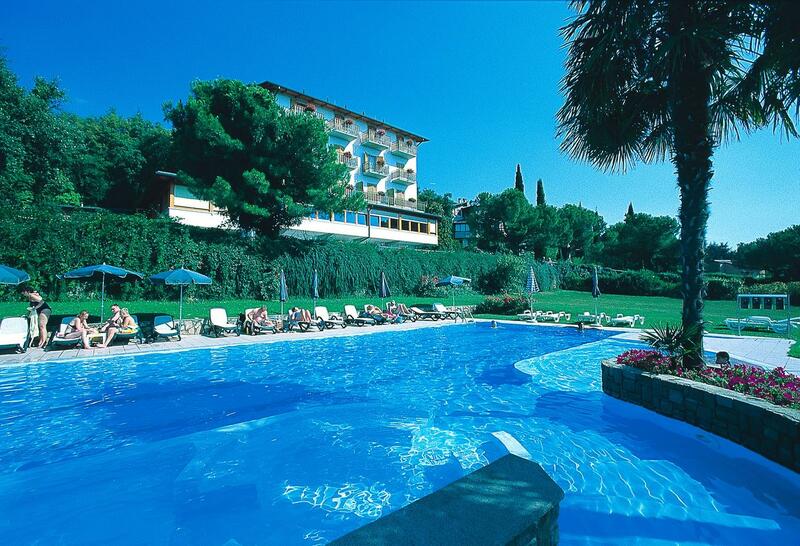 Set on a hilltop, the 4-star Hotel Diana features a furnished terrace offering panoramic views of Lake Garda, a 15-minute drive away. È dotato di una piscina all'aperto, and free Wi-Fi. All rooms at Diana Hotel come with elegant parquet floors and wood furniture and a balcony overlooking either the woods or the lake. Facilities include satellite TV and a minibar. The restaurant serves traditional Italian cuisine prepared with high-quality products from the Mount Baldo area, such as olive oil, mushrooms and truffles. Guests can relax in the sauna or in the 10000 m² garden or play on the tennis court. Diana Hotel is 14 km from the Affi exit of the A22 motorway and a 15-minute drive away from the lakeside town of Torri Del Benaco. The surrounding area is ideal for excursions and cycling.